Earn up to 28,792 reward points. Classic design, ideal for the jazz soloist. 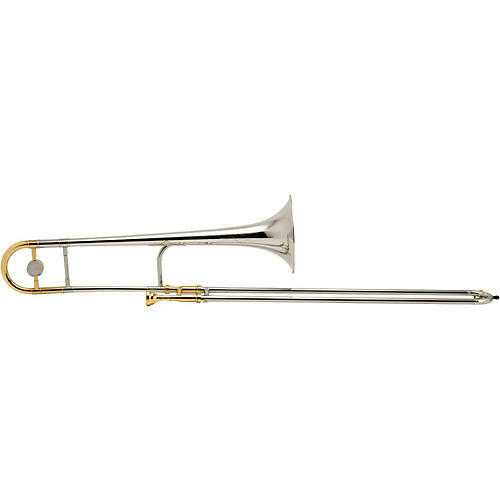 The King 2B Legend Series Professional Trombone is classic trombone design; it features a 481/.491"" dual bore for excellent projection and clear upper range plus a 7-3/8-inch bell with a taper design that allows a quick response with subtle brilliance. The King 2B Legend is available in a variety of bell materials and finishes to meet the needs of the player including a yellow brass bell or a gold brass bell, as well as a sterling silver bell. The sterling silver bell is available with gold trim. You may select from these options on the dropdown menu. Fast and furious. Order today.